Imagine you’re out on a pristine summer’s day playing in your country club’s golf championship. The rules of the day allow for caddies, so you ask one of the high school seniors working for a little spending cash to carry the Callaway bag around the hilly course. After the round, you’re sitting in the clubhouse having a lemonade when the kid asks if you need anything else before he leaves. You say no and thank you and shake his hand. Only one thing is left to decide. What do you tip? A $50 sounds about right, doesn’t it? 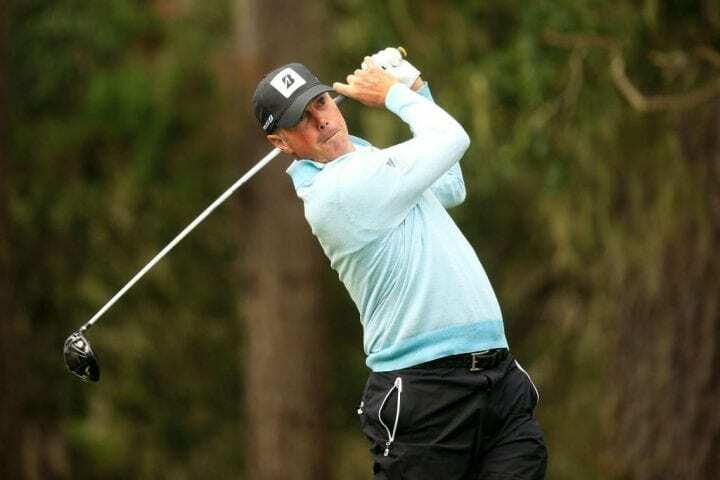 Now imagine you are Matt Kuchar, one of the best professional golfers on the PGA Tour. You have made $46,627,590 (10th all-time) and are so popular galleries traditionally break out in a chorus of “Koooooooch” as you stride down the fairway. Yes, you have the world on a string. You are sitting on a rainbow. In November, your hot streak continues at the Mayakoba Classic. You cash another check for $1.296 million for winning. Back at the clubhouse, your caddie, David “El Tucan” Giral Ortiz, is taking off his overalls when you walk over to say thanks. Only one thing is left to resolve. What should you tip? Normally, the rules of comportment call for a gratuity equal to 10 percent of the pot if a golfer wins, which would have meant approximately $130,000 for Ortiz. “He was definitely my lucky charm,” Kuchar said. Kuchar gave the guy $5,000. Magically ridiculous. News of Kuchar’s economic triple-bogey landed him a sand trap of public opinion with only a putter in his hands. But if you think Kuchar is embarrassed by the perception he is cheap, you would be wrong. In Kuchar’s defense, there is nothing in the Rules of Play saying a 10 percent tip is mandatory. In fact, tipping in golf usually mirrors tipping in life. There are no guidelines about how much you tip the mailman, waiter or the person who handles your luggage at the airport. We all fall into one of three categories: generous, cheap, somewhere in between. But some things are just expected. When asked about the incident, Kuchar told GolfChannel.com he and Ortiz, who he described as his fill-in caddie, originally agreed to $3,000, with a bonus that could have upped it to $4,000. After the win, Kuchar paid Ortiz $5,000. He also said he offered Ortiz another $15,000, which he turned down. That brings us back to the original point, unraveling what’s expected from what’s fair. If you subscribe to the 10 percent rule, even offering a big raise to $20,000 for a week’s worth of title-winning caddy work would be apter. If Cruz carried Patrick Reed’s bag around Augusta National in April when he won The Masters, don’t think for a moment he’d get away with giving the guy $20,000 after winning $1.98 million. They’d rip the green jacket off Reed. Rumors about Kuchar’s seeming penurious nature first swirled in January when he won the Sony Open in Hawaii. Earlier this week, Golf.com published Ortiz’s version of what happened in Mexico. Here’s the problem: Kuchar realized how much Ortiz usually made and figured $5,000 would make the guy’s year. “For a guy who makes $200 a day, a $5,000 week is a really big week,” he said. Perhaps that’s so. But just imagine what $130,000 would have meant to Ortiz – if Kuchar had simply played by the rules. Well, yes you are, dude. “It’s kind of too bad that it’s turned into a story,” Kuchar said. “I really didn’t think it was a story because we had an arrangement when I started. I’ve done enough tournaments and had enough weekly caddies, and I’m very clear about what the payment will be. And we had an arrangement that David was OK with, and I thought Sunday he was very much OK with it. “I kind of feel like unfortunately some other people have got it in his head that he’s deserving something different than what we agreed upon. And it’s just too bad that it’s turned into a story, because it doesn’t need to be. We had a great week. In Major League Baseball, the players and coaching staff are expected to tip the clubhouse attendants who keep them fed and their living space tidy and clean. And the guy who makes $20 million a year is expected to pay a disproportionate amount considering first-year players make less than $600,000. It’s called sharing the wealth. The idea is everyone has to eat. Whether Kuchar cares to recognize this is irrelevant. 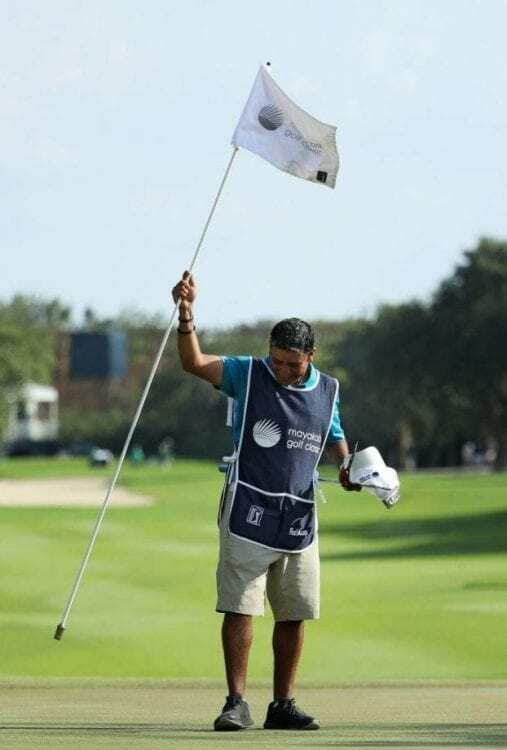 The caddie carries his own weight, literally and figuratively. Fair compensation is expected and warranted.